Sorry, spring: New York truly comes to life again in summer. From free theater to extravagant music fests to museum crawls, one’s social calendar heats up during the warmer months. Have your sunscreen and comfortable shoes ready—here are the best summer festivals in New York City. Participating in this longtime tradition should be on every local’s bucket list. Since 1962, New Yorkers (over five million, to be exact) have marked the start of summer by the return of Shakespeare in the Park, the city’s premier free theater festival. In 2018, the season kicks off on May 29th and will include performances of Othello and Twelfth Night, plays which have previously starred the likes of James Earl Jones, Christopher Walken, and Anne Hathaway. Self-described music snobs should circle June 1st through 3rd, the dates of the 2018 Governors Ball Music Festival, on their calendars now. Top talents including Kanye West, the Strokes, and Chance the Rapper plus trendy food and drinks (think vegan ice cream, gourmet mozzarella sticks, and Korean tacos) have made this fest an unmissable New York event. While one can visit Museum Mile any time of year, the Fifth Avenue stretch from 82nd to 105th Streets is especially attractive during the annual Museum Mile Festival. At this 23-block-long block party, you’ll enjoy live music, chalk drawing, and free admission to the Metropolitan Museum of Art, the Solomon R. Guggenheim Museum, and more leading cultural institutions. Celebrate black music at Afropunk Festival, a global event dedicated to diversity. Like its London and Paris counterparts, the fest’s Brooklyn edition opens its arms to all with open ears, complete with live artwork, food and drink, and performances by the likes of Macy Gray, Michael Kiwanuka, and Willow Smith. Doing the right thing has never been this fun. At NYC Pride, you can stand with the city’s LGBT community at brunch events honoring LGBT business leaders (dress code: “brunch chic”), a family movie night, a world-famous march, and more. Mark your calendars for this year’s celebration, taking place from June 15th to the 24th. A dance party within a museum, MoMA PS1 Warm Up is as “New York” as a fest gets. Artists like Grimes, Solange, and DJ Premier provide the live soundtrack for this popular series, the only festival where a sweaty dance session is a warm-up for museum-exploring. Trust the more than six million people who’ve enjoyed this free outdoor performing arts festival, and make plans to experience SummerStage today. Performers ranging from indie, comedy, hip-hop, and more genres grace stages across New York City at this summer-long series by City Parks Foundation, whose past lineups have included Father John Misty and Walk the Moon. Even too-cool New Yorkers are obsessed with the French, so much so that we celebrate the country’s Independence Day as if it were our own. For one day each July, locals live à la française at Bastille Day on 60th Street, the city’s “largest public celebration of France’s Independence Day.” Join this year’s event to enjoy live music, food and wine, and la vie en rose. 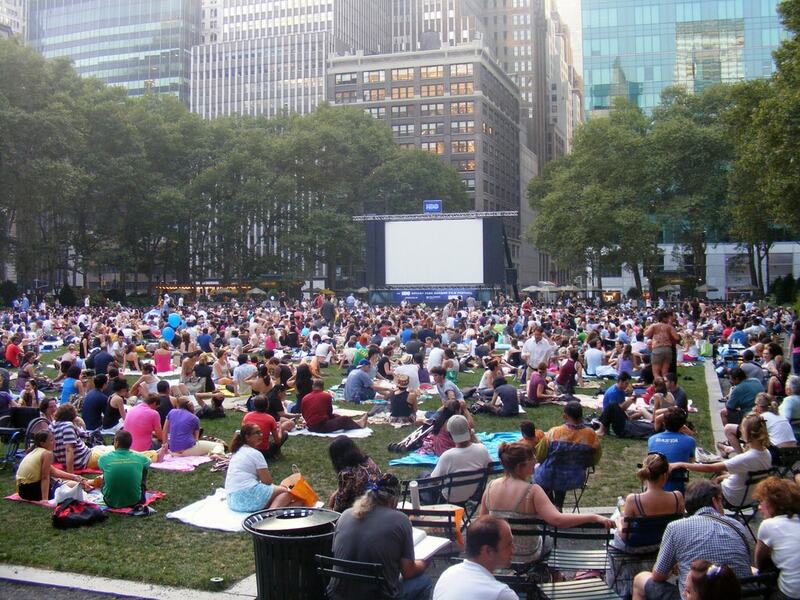 The only thing more movie-worthy than flicks like North by Northwest and King Kong is Byrant Park, the backdrop of HBO Bryant Park Summer Film Festival’s screenings of these films and others. Free outdoor films, live music, and a BYO-food-and-drink policy round out the offerings at the city’s favorite en masse movie nights. The word “festival” doesn’t have to connote rowdy crowds and loud sounds. At the 53-year-old New York Philharmonic Concerts in the Parks, festival-goers picnic on the lawns of the city’s premier parks while enjoying live classical music. With 8 pm start times, this beloved local pastime may be New York’s only fest that doubles as a date night destination.